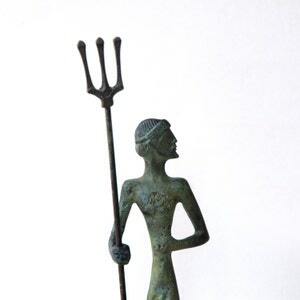 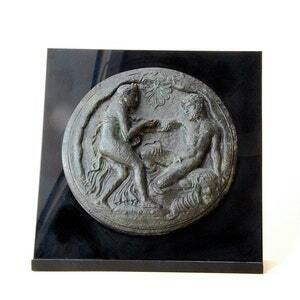 God Poseidon Statue, Bronze Sculpture, Metal Art Sculpture, Museum Quality Art, Greek Mythology, Olympian God, Neptune Bronze statue of Olympian god Poseidon. 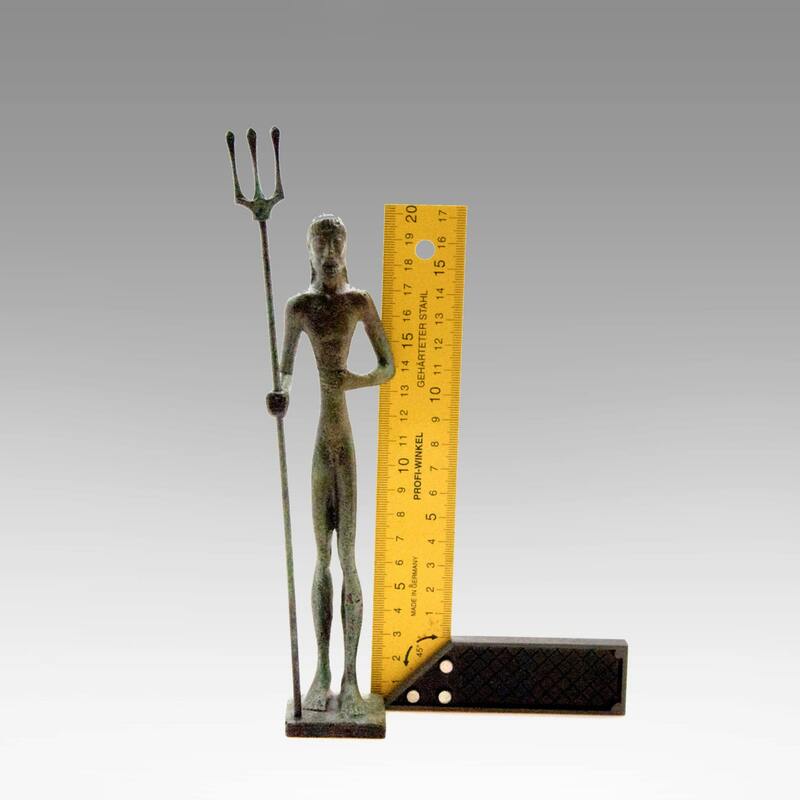 The statue is cast in bronze with a verdigris patina. 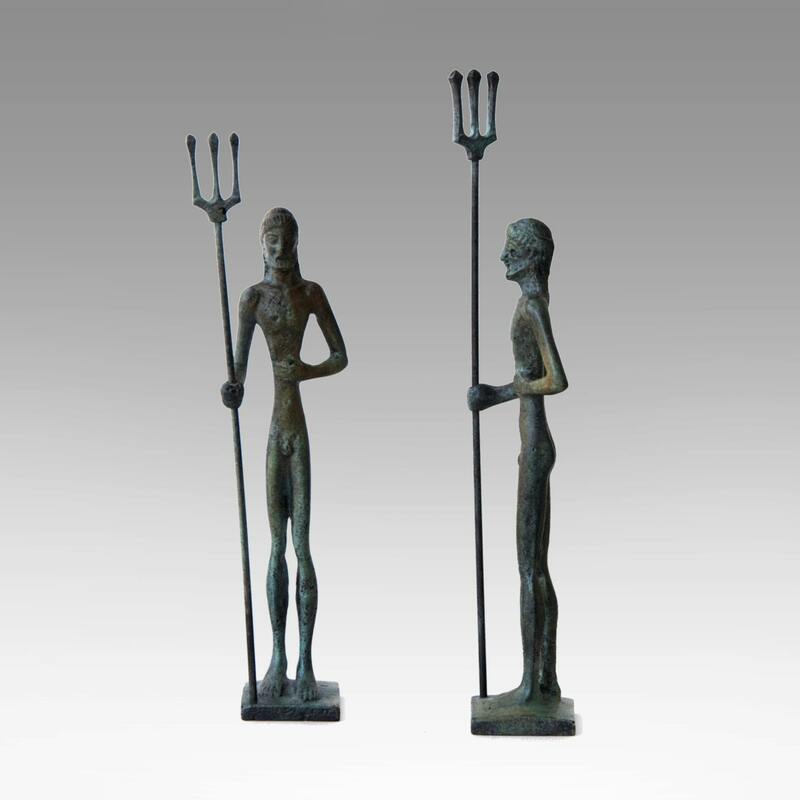 Poseidon is one of the twelve Olympian deities of the pantheon in Greek mythology, brother of Zeus and Hades. 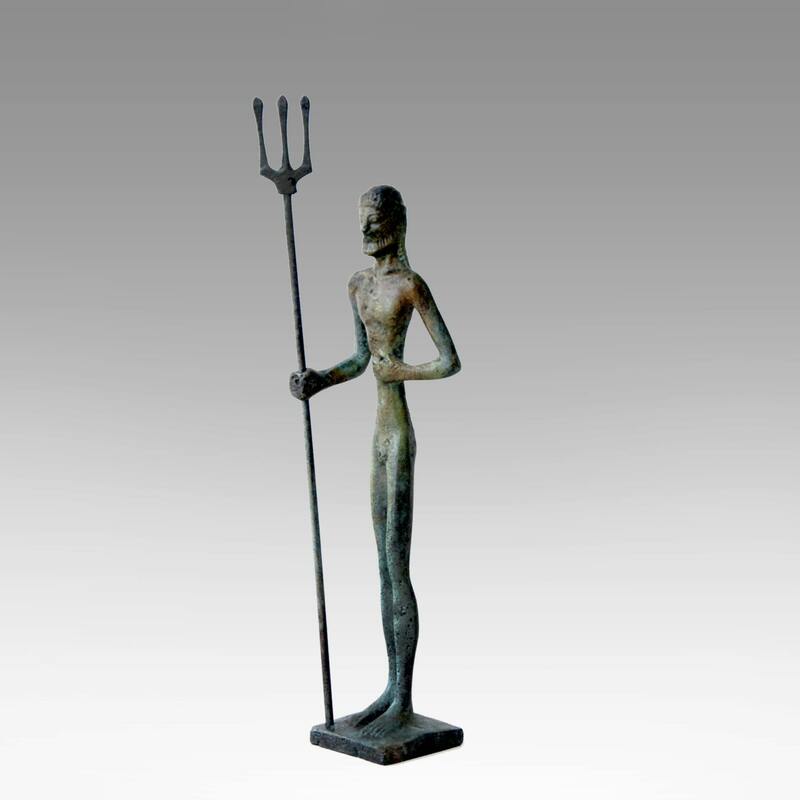 His main domain is the ocean, and he is called the "God of the Sea". 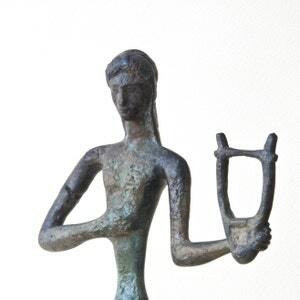 He is usually depicted as an older male with curly hair and beard. 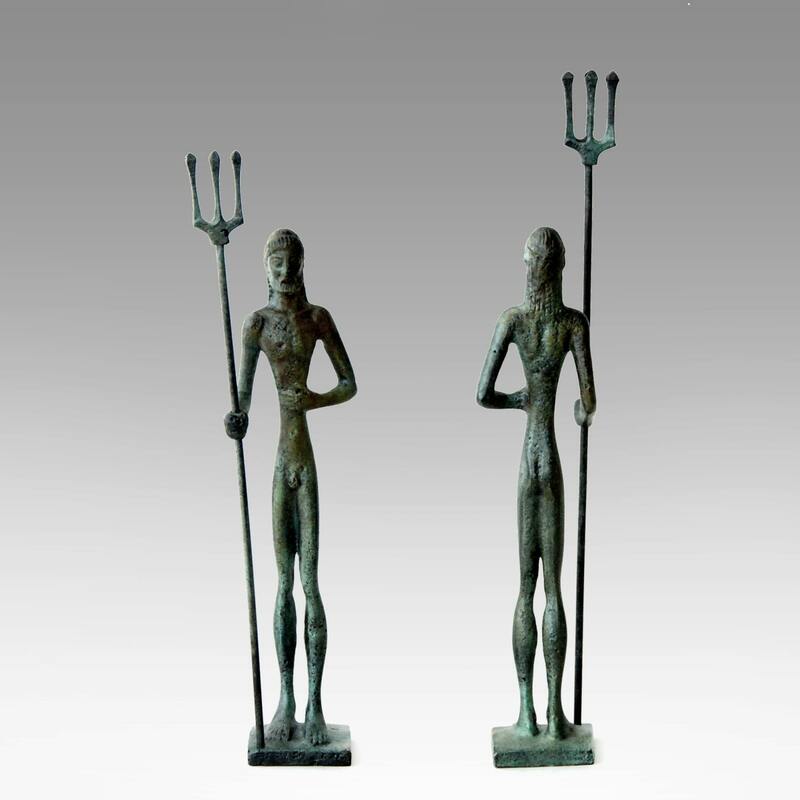 According to Plato, the island of Atlantis was the chosen domain of Poseidon. 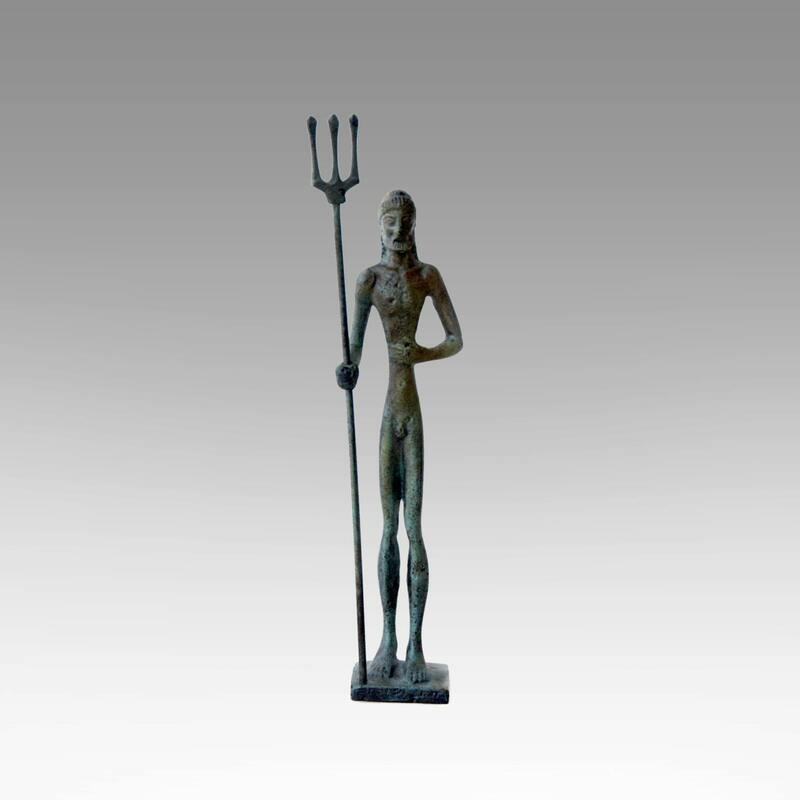 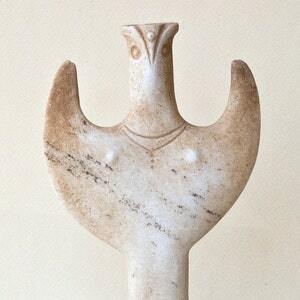 His symbol was the trident.